The experience and the proven performance of SpeQtrum Aerospace combine to give us the skills, knowledge, and tools to tackle any project, no matter how large or complex. 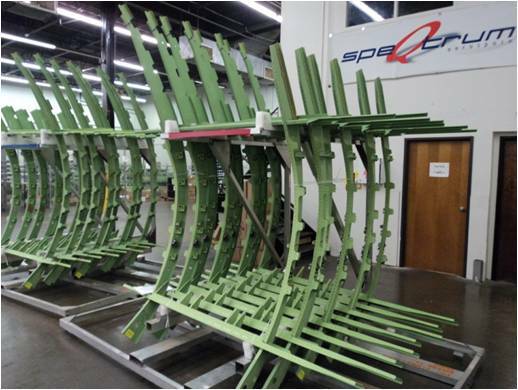 SpeQtrum Aerospace is currently a source for the Cargo Door Surround Structures for the Boeing 737. At a rate of 1.7 airplanes per day, SpeQtrum brings together hundreds of detail parts, with a BOM structure several layers deep. Even with this complexity and rapid pace, we have a 100% on-time delivery record and quality acceptance of greater than 99% (rolling 12-month average). SpeQtrum also has skilled sealers on-staff, with experience in fay, fillet, cap, and brush-coat sealing.